Is your website costing you thousands? Get this FREE guide and find out! The visitor count on your website is high. Wondering why? It’s obvious. Your clunky website is turning people away. And the truth is that first impressions count. Especially online. Your website is your absolutely your biggest business asset. And can be your biggest downfall. 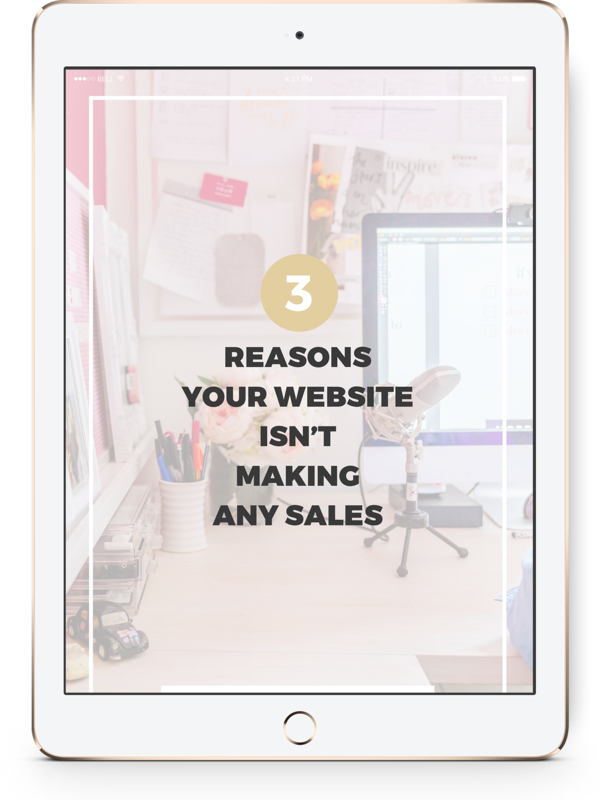 Introducing my free guide: 3 Reasons Your Website Isn’t Making Sales. Get your website selling for you without it feeling sleazy or salesy at all.